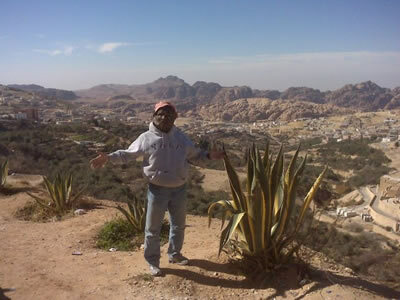 Toxie brings Peace in 2010 to Jordan! 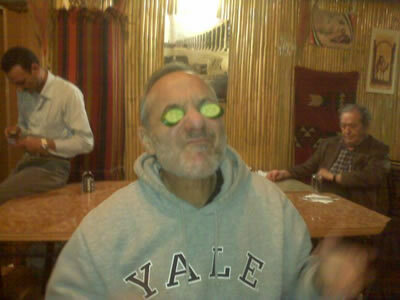 Toxie brings Peace in 2010 to Jordan, Part Two! 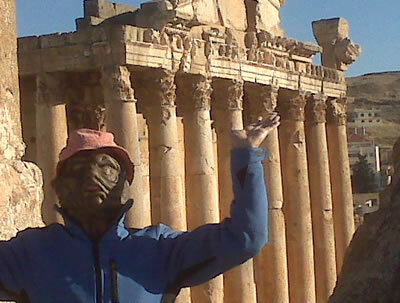 Toxie at Petra, in Jordan! 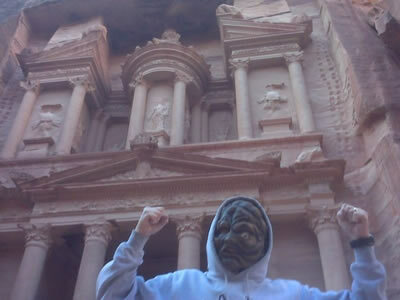 Toxie in the Jordan desert! 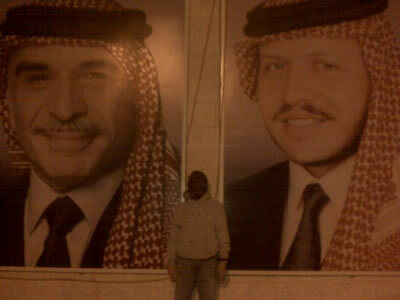 This entry was posted on Tuesday, December 29th, 2009 at 6:06 pm	and is filed under News. You can follow any responses to this entry through the RSS 2.0 feed. You can leave a response, or trackback from your own site. You are here : Home » news » 2009 » 12 » 29 » Toxic Avenger goes to Jordan!